Plastic core and plastic frame with 4" wide soft rubber roller that is removable for easy cleaning. * Provides smooth roll-out on a variety of surfaces. 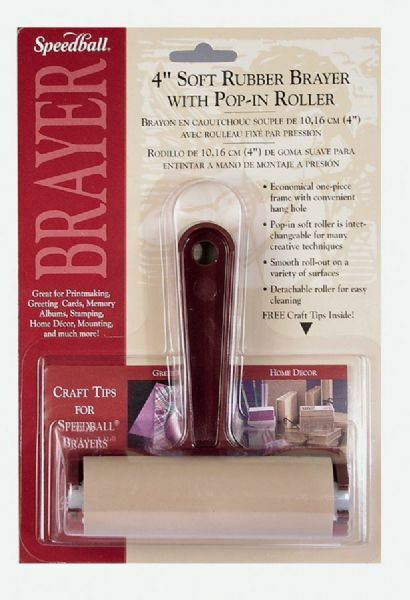 * Interchangeable with other pop-in rollers for many creative techniques. * Free craft tips usage guide inside.